At the beginning of the story, a security guard is killed by an apparent accident in a remote and apparently haunted dam in the highlands of Iceland. At first, Baldur has no interest in the story; that is, until he discovers from his mother that the security guard was his biological father – a man he never knew. Baldur becomes determined to find out more about his father and what happened to him, and leaves to investigate against the will of his editor. He travels to the remote dam where the death occurred, under the disguise of a new security guard. 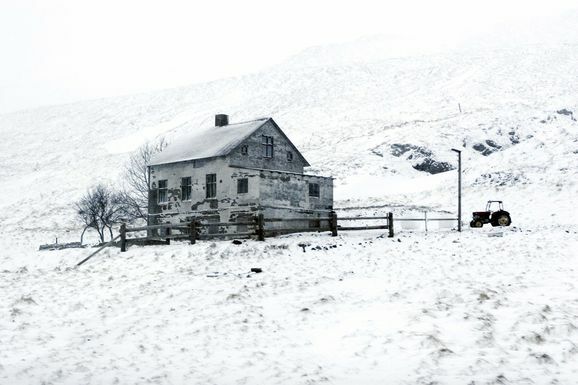 He soon discovers that nothing is what it seems in this isolated place of Iceland. The crew working at the dam lives in a close knit community and don’t like strangers at all. They illegally hunt reindeers – a business organized by Petur who’s the head of security at the dam – and Baldur’s presence puts that business in jeopardy. But it’s Baldur’s discovery of events, which happened twenty-five years earlier, involving his biological father and Petur, that put Baldur’s life at risk. The incident involved a woman who was brutally attacked and raped and a legendary ghost blamed for it. As Baldur continues digging through old police files, he discovers that both his father and Petur were responsible for the attack. Gradually, Baldur becomes the subject of his own tabloid story, which is ironic, given his character and what he stands for in the beginning of the story. He now has a moral dilemma to deal with. Edduverðlaunin / Edda Awards - Award: Sound and Music of the Year (Sound: Gunnar Árnason). Art Direction of the Year (Production Design: Árni Páll Jóhannsson). Nominated for Actor/Actress og the Year in a Supporting Role (Lilja Guðrún Þorvaldsdóttir). Nominated for Cinematography and Editing of the Year (Cinematography: Víðir Sigurðsson).